NAN reports that the company’s stock was at $206.85, up 2.7 percent near 1620 GMT. 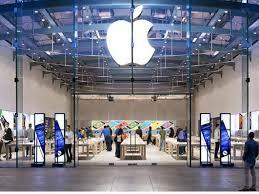 Apple said it currently has 4.83 billion shares outstanding. The record also cements the continued supremacy of US technology companies to the broader market, with other large technology giants - Amazon, Google-parent Alphabet, Microsoft and Facebook - regularly rounding out the top five in international market.